Andries is married to Phume and they have one daughter, Angel Rethabile. 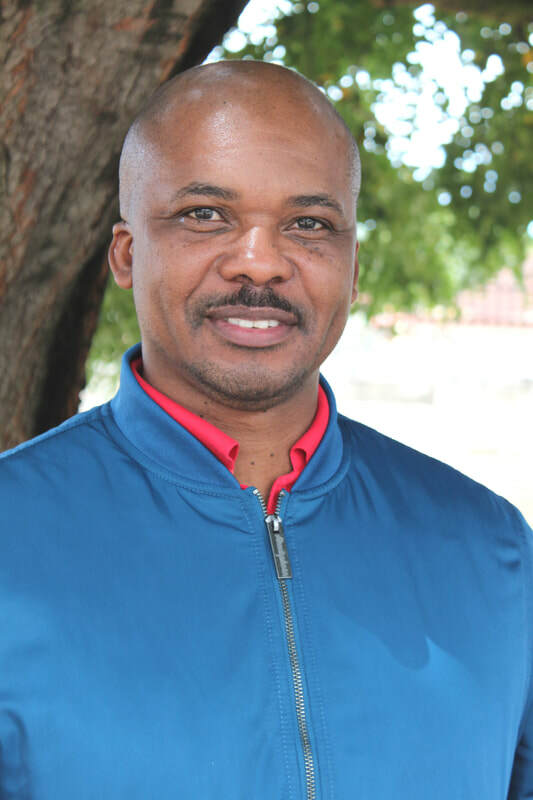 Andries has a Diploma in Pastoral Theology, he also completed a 2 year Advanced Urban Ministry Certificate with the University of South Africa (Pretoria); a BTh degree with George Whitefield College (Muizenberg, Cape Town) and completed his MTh degree with the South African Theological Seminary (Randburg, Johannesburg). As an ordained clergyman in the Church of England in South Africa he ministered in Durban CBD for 6 years and later in Durban Upper-­‐Highway District for 2 years as a rector of three churches. ​ Andries joined the Johannesburg Bible College staff team at the start of 2011 and teaches in Auckland Park and Soweto. Andries supports a number of sports: NASCAR, F1 & A1Grand Prix, rugby, cricket, athletics and soccer. He is a staunch supporter of Orlando “BhakaJUJU” Pirates, Chelsea FC & FC Barcelona.